Julie is a veteran of the commercial real estate industry starting her career in 2003. In 2008 she joined the King Group Realty and worked along with Donald King and others on the leasing team. In the last 5 years Julie has been involved and closed some of the largest and most important commercial office leases in the area. In 2011 Julie was promoted to Vice President. 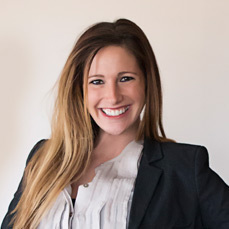 In addition to the landlord leasing side, Julie is also adept in Tenant representation. She has represented some of the larger Fortune 500 companies, as well as numerous Cleveland based corporations. Julie was recognized as Woman of the Year in 2012 by the National Association of Professional Women and was also nominated as Cleveland’s Broker of the Year in 2013. Julie is active in the community and resides in Gates Mills with her husband and two children.